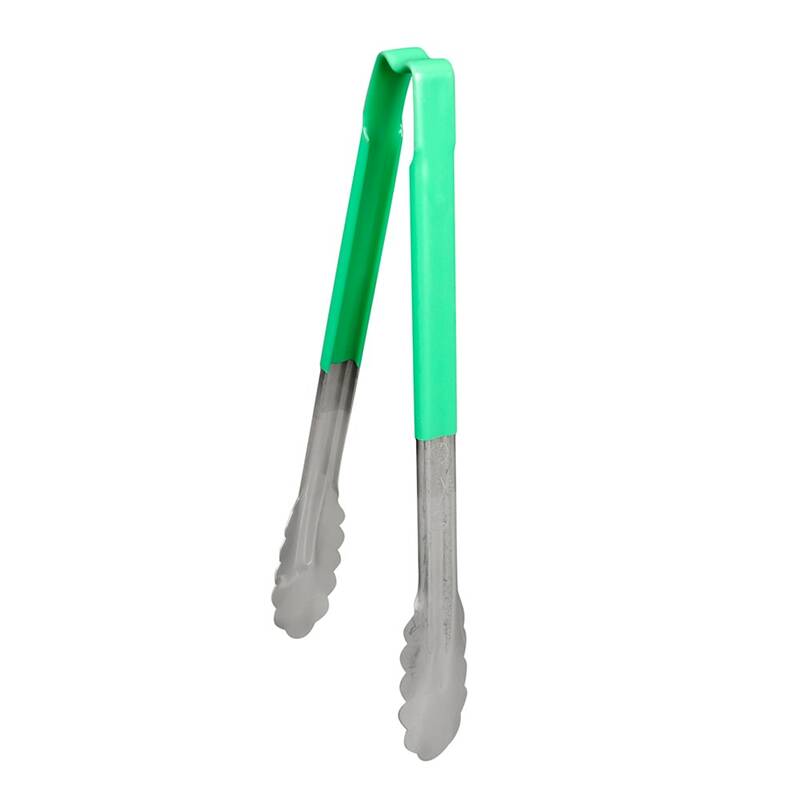 The Vollrath 4781270 utility tongs are constructed of stainless steel for strength and heat resistance. Made from a single piece of material without crevices, the utensil is easy to clean and will not harbor food particles where bacteria can grow. Concave ends with scalloped edges easily pick up product from grills and broilers. 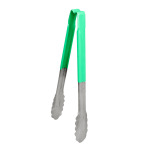 Its green, plastic-coated handle resists burns and can be used for color coding serving areas.